Mashing, the process of turning grain into a fermentable wort, is an ancient art dating back thousands of years. The verb ‘to mash’ comes to us from the Old English mæscan, meaning ‘to mix with hot water’. This process was known even to the Egyptians and Babylonians, who used a special, lightly-baked ‘beer bread’ for brewing alcoholic beverages, as described in a hymn to the Babylonian goddess of beer, Ninkasi. We can surmise that the sweet taste that comes from allowing barley to partially germinate provided the original impetus for making malted grains; the discovery that it would ferment to create alcohol surely followed shortly thereafter. What are the steps to Making a Grain Mash? We will talk about these steps in depth below and by the end of this article you’ll have a full understanding of the process needed to make your own grain mash that can then be fermented and distilled. Only in recent times have we understood how this process actually happens: When a grain begins to germinate (Fig. 1b), the embryonic plant produces diastatic enzymes that break down the seed’s starches into simple sugars. ‘Malting’ a grain comprises the wetting, sprouting, and then drying (Fig. 1) of cereal grains at the point where they contain the highest concentrations of these enzymes. This ‘malt’ can then be used to convert starch into the simple sugars that can turned into alcohol by the yeast organisms. Starch itself consists of very long chains of glucose molecules that the yeast cannot utilize without it first being broken down in this way. Diastase actually consist of two distinct amylase enzymes, alpha- and beta-amylase. The latter chews individual glucose molecules off the ends of chains while the former chops the starch into shorter segments (dextrins), giving more chain-ends for the beta to do its job. The alpha-amylase, however, is maximally active a few degrees above the maximum for beta-amylase and so, generally speaking, a lower-temperature mash will produce more glucose and less dextrin. It should be noted that all unmalted starch sources, whether cornmeal, barley flakes, wheat flour, or even potatoes, first need to be cooked until they gelatinize. This ‘unravels’ the intertwined starch chains so that the enzymes can get at them. Dextrins, glucose chains shorter than starch molecules, but still not completely dismantled into single sugars, provide body to beer, but are detrimental for distillation. Not only does this material represent wasted glucose, but dextrins can even create off-flavors in the distillate. Once the yeast has consumed all the free glucose in that initial vigorous fermentation, the organism reluctantly turns to breaking down the dextrins, producing a slower fermentation and more of that acetone flavor we associate with heads. This phase should be avoided by making certain that the mashing process is complete and by stopping the fermentation once it begins to slow. The first step is cracking or crushing the grain so that all the starch chains are exposed and can be dissolved in the mash when cooking begins in the mashing stage. How fine you want to grind your grain will depend on whether you intend to lauter (filter) your wort before you ferment or if you want to ferment on-grain. Lautering requires a relatively coarse grind, to avoid an overly compact grainbed that won’t let the wort and sparge (rinse) water pass through. If you want to lauter your wort, then you should grind your grain so that there are still recognizable particles, about the size of birdshot, while leaving the hulls mostly intact. You can also use a roller mill to achieve the same effect of crushing the grain while leaving the hulls intact. These hulls are important for keeping the grainbed permeable. If you intend to ferment with the grain still in the mash, however, then you’ll want a finer grind, finer than you can probably get by using a roller mill. A finer grind will allow you to recover more sugar from your grain and will presumably allow more of the grain flavors to seep out into the wort. There are a variety of gristmills available at brew shops: the aforementioned roller mills, and mills that have wheels like miniature millstones that crush the grain. Virtually all of these are adjustable for the coarseness of the grind. You can get hand-cranked models that resemble the sausage-maker that my mother used to use, or labor-saving motorized units. If you plan to prepare more than ten pounds of grain at the time, a motorized unit is definitely worthy of consideration, though even the hand-cranked models can usually be attached to a variable-speed drill to speed the process. Update: The author recently tried, for the first time, lautering the mash before fermenting, as one would do in making beer, rather than fermenting on-grain and straining the wash afterward. The improvement in the taste is nothing short of remarkable. The more subtle ‘whiskey’ tastes are entirely preserved, while the musty and sulfurous off-tastes have disappeared completely. It’s a bit more effort, as one has to deal with sugary, sticky mash getting on everything, two-hour runoff times, heating water for sparging, and the possibility of a stuck runoff now and then, but the huge improvement in the taste of the final distillate makes this step not just worthwhile, but virtually obligatory. Figure 3. 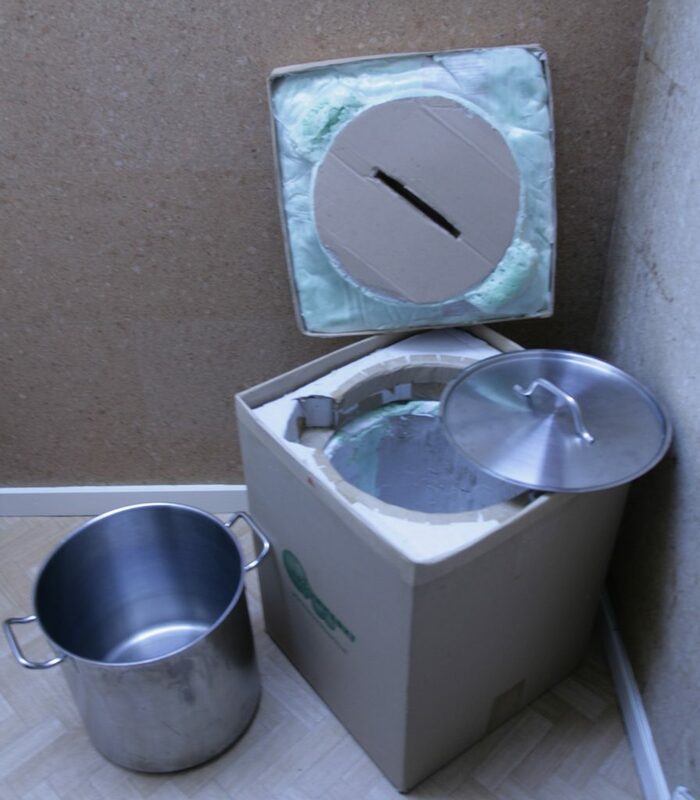 The author’s mashing setup: A stainless-steel pot and a form-fitting insulated box made of cardboard, Styrofoam and a couple cans of expanding polyurethane foam. This will hold the mash within 1-2 degrees of 65° for 90 minutes or more. 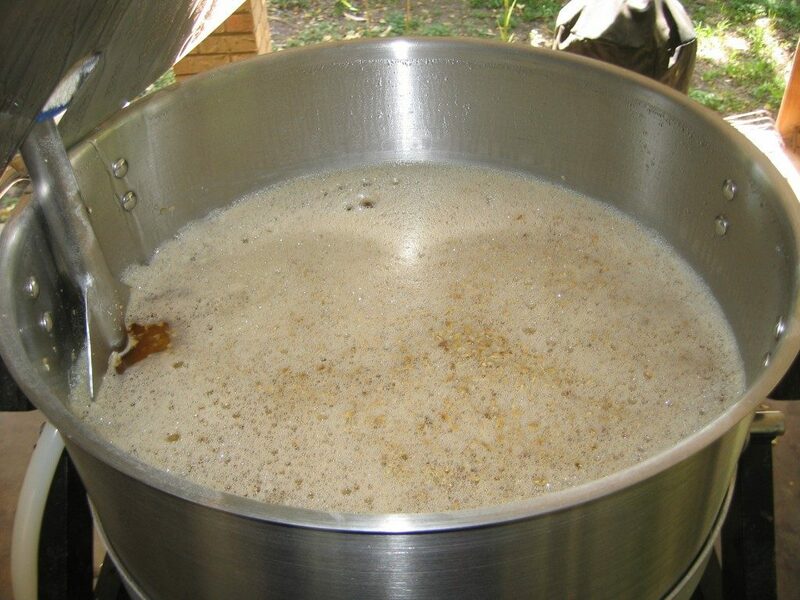 Mashing is the process of heating grains and malted grain in water. The heat aids the enzymes in converting starches to sugars and dissolves these sugars in the water to create a wort. To achieve conversion, one should start mashing at 65°, maximizing beta activity, then let the temperature slowly fall to 63° over the course of 60-90 minutes for maximum alpha activity (see Figs. 2, 3). Activity curves are broad enough that the temperature can vary a couple of degrees from this ideal. A 65° mash can be obtained by adding 1.5 liters of water at 72-74° (depending on grain temperature) to 1kg of grain. Trace elements and acidity are also important factors for diastase activity. The home distiller will need some pH paper and some lactic or citric acid to adjust the pH of his mash water to 5.2-5.5, where the enzymes are most active. Diastase also requires calcium. If your tap water isn’t sufficiently hard, or if you use deionized water, you’ll want to add a tablespoon of gypsum (calcium sulfate) to your 20-gallon mash. Jack Daniels touts its ‘iron free spring water’ because even small amounts of iron in the water can inactivate these enzymes such that they won’t convert the starches. If your local water contains iron, you’ll need to find another water source. Not all malts have significant diastatic activity. The most active are the ‘base’ malts: pale malt and especially Pilsner (‘lager’) malt. Other malts, intended as beer ingredients, may have lower activities or even none whatsoever. Diastatic activity is quantified by the Lintner scale, and commercial malts will often have this value, in °Lintner, printed on the packaging. 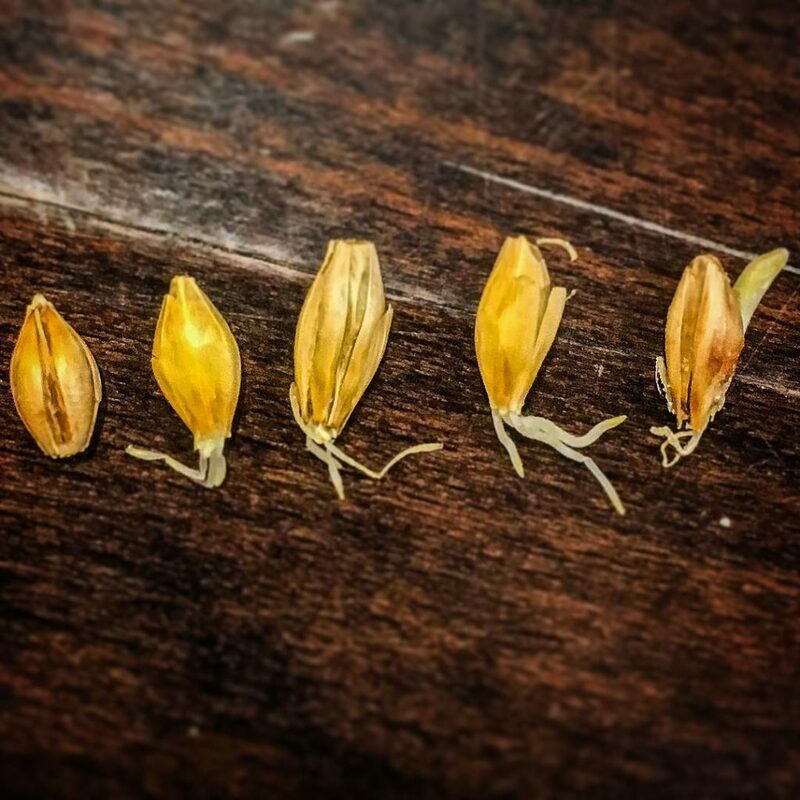 A U.S. six-row Pilsner malt can be up to 160° Lintner, whereas a pale malt will be around 140. European pales, kilned at a higher temperatures, have about half this much activity. 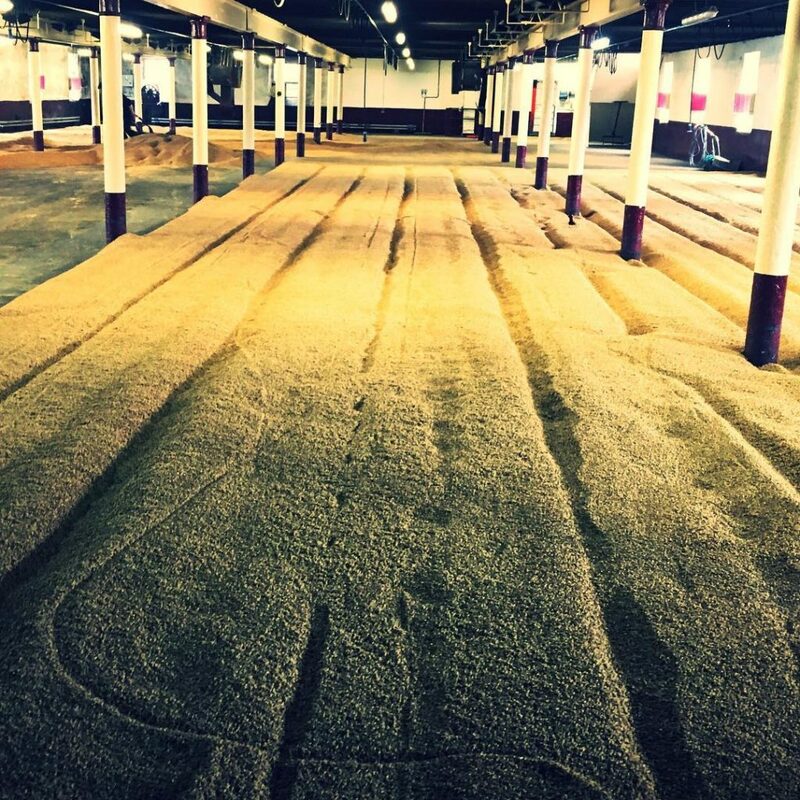 The amount of diastatic activity is important in determining how much unmalted adjunct can be added to a mash. For any malt to completely convert itself requires around 40° Lintner, so the average Lintner value of a mash should therefore be at least this high. Say you want to mash 3 kg of 6-row Pilsner, 3kg of flaked corn (maize), and 1 kg of malted rye. If your Pilsner and rye are 160 and 30 Linter, respectively, this gives ((3*160) + (3*0) + (1*30))/ 9, an average Lintner activity of 56°, sufficient to achieve conversion. In brewing beer, the rule of thumb is that adjuncts should be kept under 20% of the grain bill, yet amateur distillers regularly use up to 40% adjunct, not to mention the legal definitions of bourbon and rye whiskeys requiring at least 51% unmalted corn or rye. Why this obvious difference? The key here is that beer often incorporates high-kilned and roasted malts with little or no diastatic activity, while distillers choose a high-Lintner malt capable of converting higher proportions of adjunct. Barley, rye, wheat, and corn can all be used either malted or as unmalted adjuncts. There are few commercial sources of malted corn, however, so this is almost always added as an unmalted adjunct. This leaves only the first three grains as possible base malts providing diastatic activity. There is, however, an amylase sold in brew shops that can survive temperatures above 70° -indeed, the recommended usage is to simmer at boiling temperatures for 30-60 minutes- so it cannot be derived from malt. I suspect it’s a fungal or bacterial enzyme. While in principle, this enzyme could be used to create a 100% corn-based product, comments on Internet forums indicate it to be rather ineffective. My own experience with this amylase has been equivocal: even used in addition to traditional mashing, the wash still consistently has a final gravity of 1.020, indicating that considerable unconverted dextrin still remains. At the extreme end of the starch-conversion spectrum, some backwoods distillers don’t really mash in the strict sense at all, but simply cook up a mixture of sugar and cornmeal. This gives the typical corn-liquor taste when distilled, but it’s largely the added sugar, not the corn, that produces the alcohol. Of course, we don’t select our ingredients to just insure starch conversion, we choose them primarily to give a particular flavor. Corn, the chief ingredient in bourbons, imparts sweet, fruity flavors; rye gives a drier, peppery taste, while barley has more nutty, roasted, and malty notes. The prized vanilla, woody, and caramel aromas arise primarily from the charred oak cooperage, however, and not from the grains themselves. Barley malt dried over peat fires, on the other hand, gives Scotch whiskey (or ‘whisky’ as the Scots prefer to spell it) it’s unique, and very much acquired, phenolic taste. Finally, wheat, an ingredient in some American bourbons, is said to have a mostly neutral, but slightly sweet taste. My personal favorite recipe is barley malt, malted rye, and flaked corn in equal proportions, which seems to give a good balance between sweetness and spiciness. Pilsner barley malt is preferred, which in my experience gives a milder, more neutral taste than does a pale malt, and also offers higher diastatic power. Something I learned over my years as a home brewer is that mashing is very forgiving. You can be a bit off on the temperature, pH, or grain bill, and still get a decent, drinkable beer, just perhaps not quite the beer you intended. Mashing for distillation is the same: barring major mishaps, the resulting product might be slightly less than the expected quantity, or have a slightly different taste, but it’ll still be darn good liquor. Home Distillers Group of America – A private Facebook group great place to ask question and share the knowledge you have with others. Instagram – Stay connected with us via our Instagram page. Learntomoonshine’s Facebook page – Like us and you’ll never miss another articles or recipes we post. If you have any questions about process of making a grain mash please ask in the comments section below. 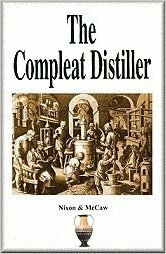 One Response to "Introduction to Grain Mashing for the Home Distiller"
Great article, thanks for sharing your knowledge. I am very new to the craft and have plenty of time on my hands since retiring. I am also new to the group ” Learn to make moonshine”. Later I might ask questions on certain problems or recipes and would very much like to chat on solving what might need fixing. Again thanks and keep helping.